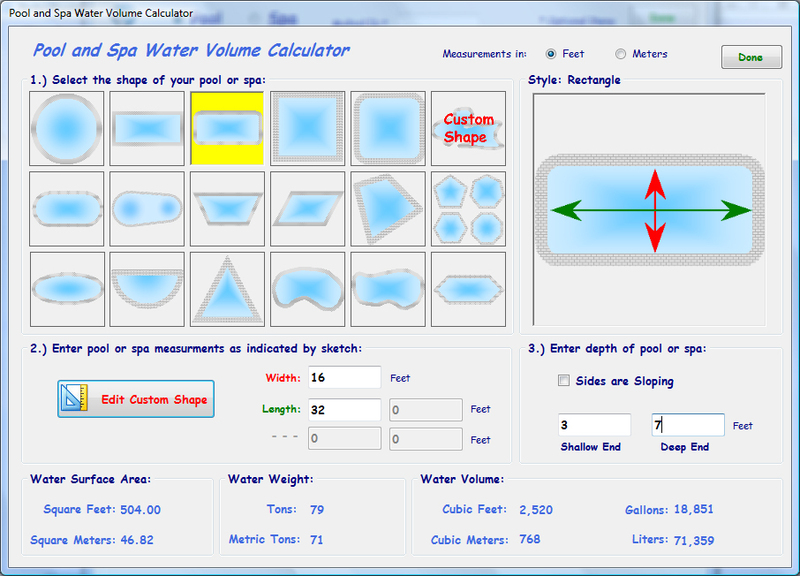 Perfect Pool and Spa Software Version 8.0 is now ready for download! Save up to 50% on Chemicals! 2 Simple Steps to Safe, Perfectly Crystal Clear Water! Just input test results from your test kit! The software tells you what to do! 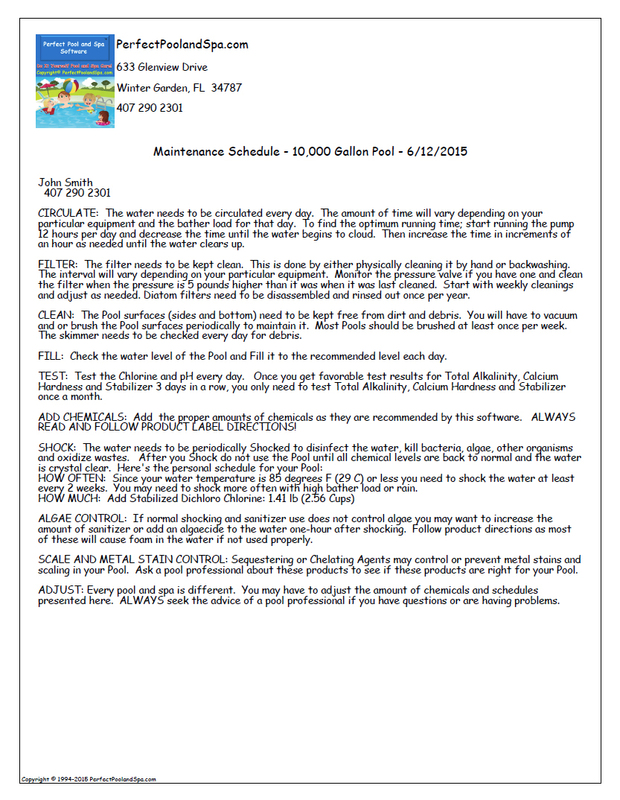 Whether you have One Pool or Spa or Thousands of Pools! This software can handle the job! 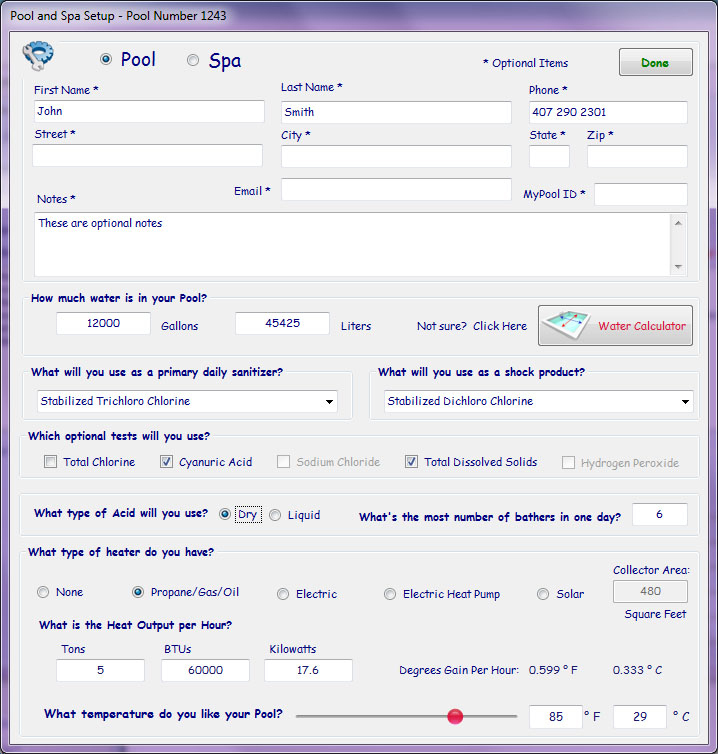 Just answer a few questions and then press "Done"
Create a personal maintenance schedule tailored to your specific pool or spa to keep your water crystal clear. 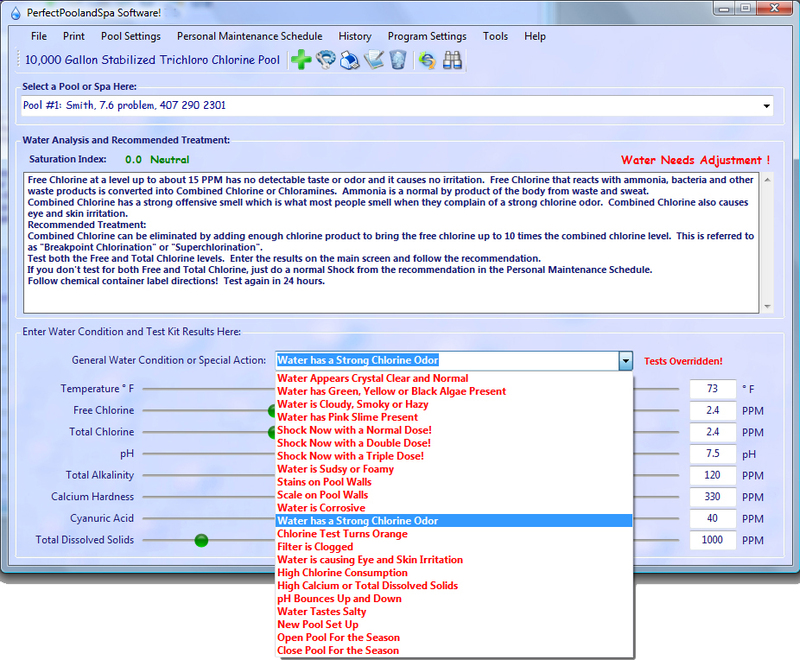 Print out a customized Water Adjustment Reference Guide. 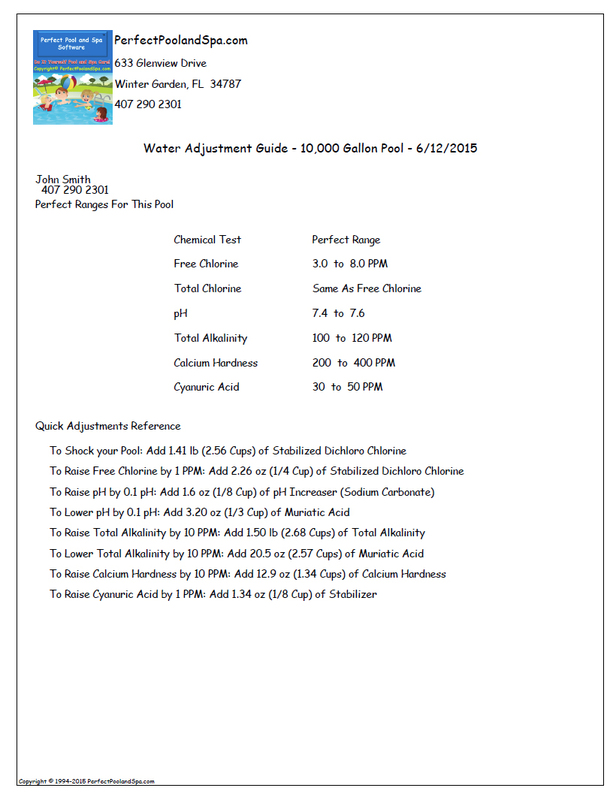 This is great to keep at your pool side for a quick reference on how to quickly adjust pool readings or how to shock your pool! 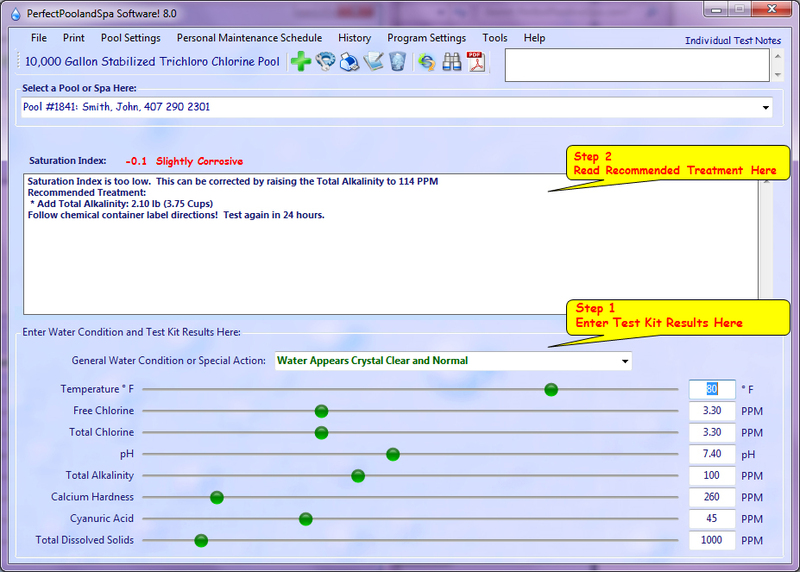 The water appearance should normally be "Crystal Clear"
If not, just select the appropriate action or problem. Shock Now with a Normal Dose! Shock Now with a Double Dose! Shock Now with a Triple Dose! Gallons, Pounds, Ounces, Cups and Teaspoons, Feet, and Inches. Liters, Kilograms, Milliliters and Meters. 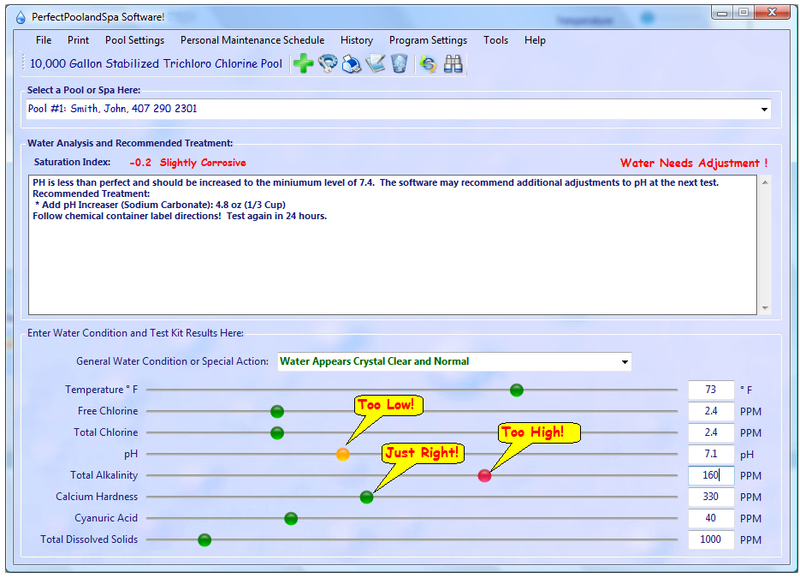 Recommended for home users, this option balances the water in 2 or MORE steps. thus preventing errors in reading test results and adding too many chemicals at once. Recommended for pool professionals, this option balances the water usually in ONE step. This mode is useful when it's not convenient to go back and re-test the water.